Now on its 36th season, this year's Manila International Book Fair (MIBF) was held on 16-20 September 2015 at the SMX Convention Center, Pasay City. The MIBF is an annual book trade event participated in by various book dealers and publishers, offering fair price for its wide array of books and other learning materials. Book signing, story telling sessions and other co-located events are also being held in this 5-day affair. Not only does it serve as a venue for the book publishing industry, the MIBF also brings together information professionals and library associations under one roof, where several activities, such as lecture forums and workshops, are given. 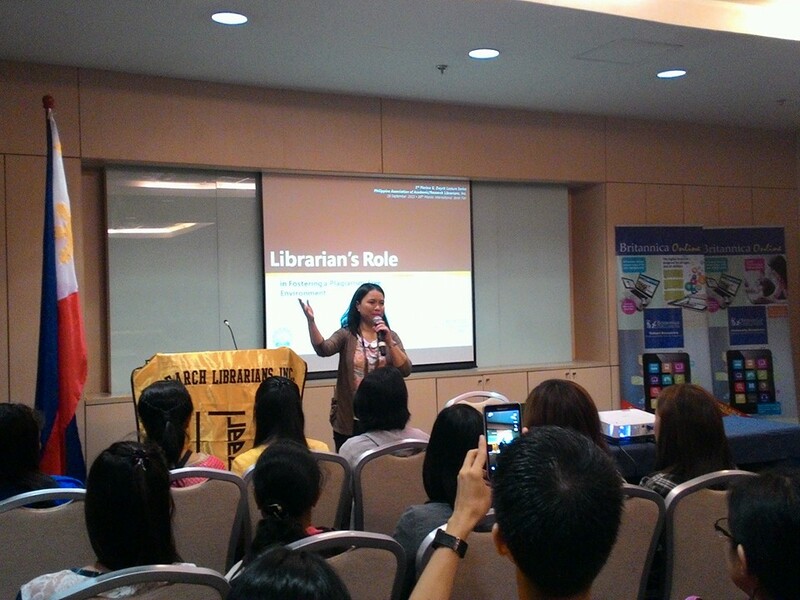 This year, 2 librarians from DLSU were invited to speak at respective forums. Christine M. Abrigo, Assistant Director for Operations, was the resource person at the Philippine Association of Academic/Research Librarians' (PAARL) 4th Marina G. Dayrit Lecture Series on the topic, "Librarian's Role in Fostering a Plagiarism-Free Environment", held on September 16th. Abrigo discussed information ethics and the librarian's key role in instilling information literacy onto their learners leading to academic integrity. 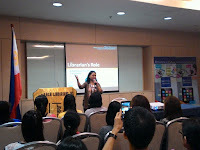 The forum was attended by 260 participants, which was a mix of librarians and students of Library and Information Science (LIS). On September 17th, day 2, Joseph M. Yap, Coordinator for Instructional Media Services, was Philippine Normal University Library and Information Science Alumni Association's (PNULISAA) resource person for its forum entitled, "Making Things Happen: Librarians as Project Managers". In his talk, Yap gave some pointers on project management strategies and coming up with and executing successful project initiatives. 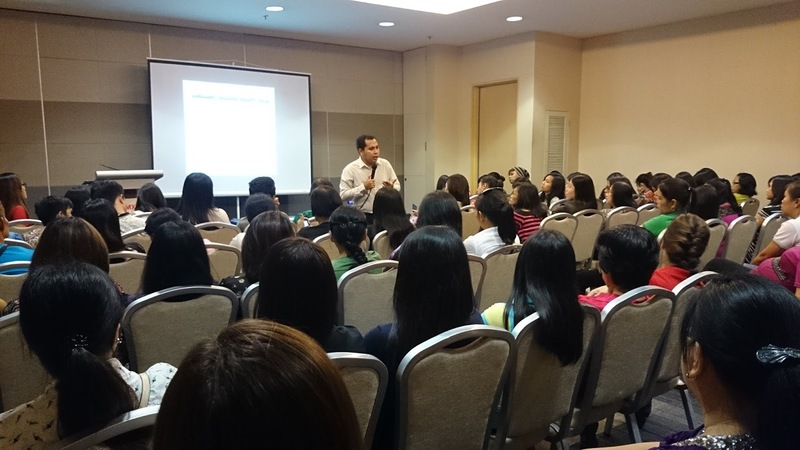 The forum saw an attendance of 230 participants, conducted in 2 batches. The MIBF is being organized by Primetrade Asia.